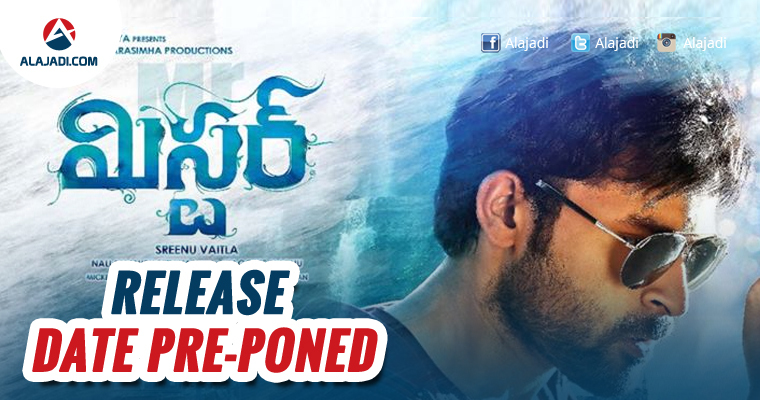 Mega Prince Varun Tej’s upcoming entertainer Mister is creating huge Buzz in trade circles. It’s recently released trailer has generated much hype and the fans can’t wait to watch the film. Slender beauties Lavanya Tripathi and Hebbah Patel are the heroines romancing Varun Tej. Now isn’t this good news? You guys must be wondering that I said the date has changed and why is it a good news right. Well, that is because we get to watch Mister a little more earlier than expected. Yes, Mister is going to hit the theaters on 13th of April. 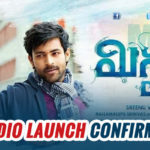 Srinu Vaitla has completed the shooting at a very fast speed and is fully ready with his team for a grand release. The teaser and the trailer look extremely beautiful and colorful. This is something that Telugu audiences are eagerly waiting for. 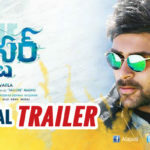 Varun Tej in his career’s best look, Lavanya’s most beautiful presence and Hebah’s stylish, active and bubbly performance are surely going to take this movie to another level altogether. It was actually surprising to know that this film is from Srinu Vaitla, actually looks like he going to take us back to his Anandam days and make us feel the same way. Already two audio tracks “Edho Edho Bagunde….” and “Kanulake Theliyane…” are released through YouTube. These two song tracks received huge applause from music lovers. Mickey J. Meyer who has carved a niche in melody songs has showed his melody mark in these two songs too. Speaking about this project the director said that this is going to be a complete family entertainer. People of all genres will surely fall in love with this film. Initially, they have planned to release this on 14th of April but now we get to see this on 13th itself. Wishing all the love and luck to the entire team!